In September 2017, the Syrian Democratic Forces (SDF) began a campaign to recapture large parts of Syria’s eastern Deir al-Zour province from ISIS. Around the same time, the SDF formed the Deir al-Zour Civil Council to administer the oil-rich desert province in the post-ISIS phase. Navanti researchers visited the village of Busayra in February to survey reconstruction efforts there. 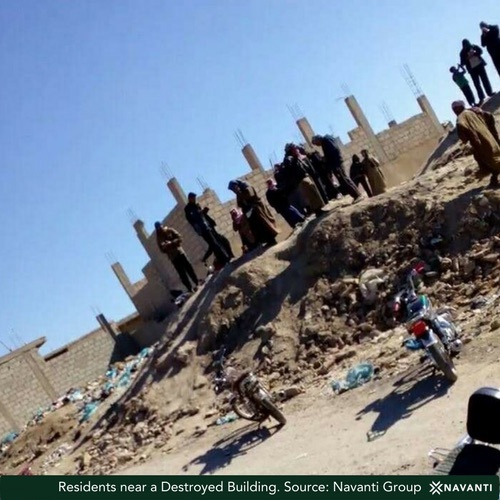 In contrast to other, more developed areas under SDF rule, such as al-Hasakah or northern al-Raqqa province, the SDF-affiliated Deir al-Zour Civil Council has yet to conduct serious rehabilitation work in Busayra and other remote areas of Deir al-Zour. In part, this is because the SDF is focused on clearing out remaining pockets of local ISIS resistance, in addition to fighting off a Turkish assault on its territory in the northwestern Afrin region. Nevertheless, Busayra residents expressed frustration around the slow pace of rebuilding efforts, which have been concentrated almost exclusively around the town of Jazrat in the province’s northwest. Security in Busayra is provided by forces affiliated with the SDF. The town is subject to occaisonal raids from holdout ISIS forces located to the southeast. One of Busayra residents’ biggest complaints is a lack of organized trash collection. Litter is strewn across the streets, both in public spaces and residential neighborhoods. “The market’s really dirty. Diseases are spreading because of the filth and the lack of garbage collection. The restaurants are dirty.” — Busayra resident in his 20s. 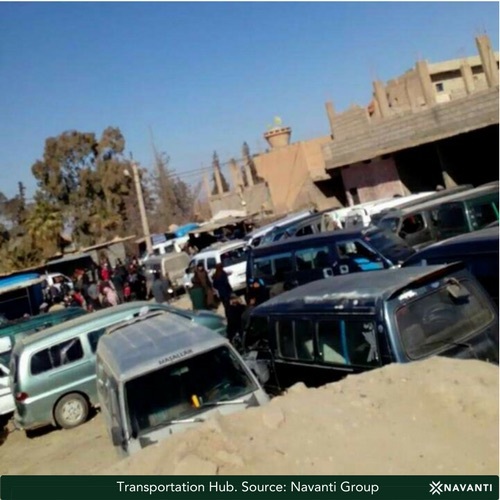 Economic activity in Busayra is driven in large part by IDPs from formerly ISIS-held al-Mayadin and al-Bukamel, many of whom still have savings because they were forced to leave their homes only recently. People come from the surrounding countryside to buy goods in the Busayra market, particularly tents. Buses are a primary means of public transporation for Busayra residents. 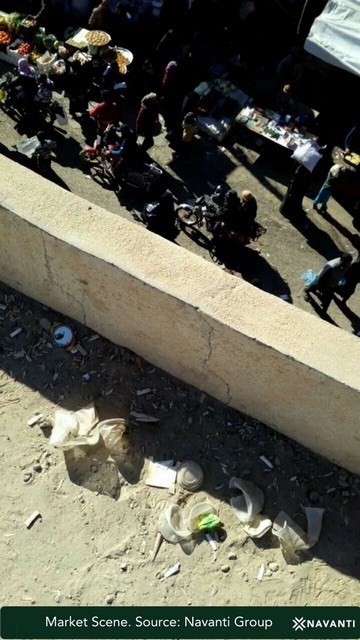 After defeating ISIS, the SDF and its affiliated civilian entities are now embarking on the equally arduous task of securing Busayra residents’ support through public service projects. Sanitation, electricity, the provision of affordable food, and education are the areas most in need of improvement that people identified for Navanti researchers.